The Wall Street Journal, in conjunction with multiple families and Disney personnel, has confirmed that people regularly scatter the ashes of loved ones at Disneyland and Disney World. Not only is this not an isolated case, it happens on a monthly basis. Disney employees even have a special code to report when it happens. Current and former custodians at Disney parks say identifying and vacuuming up human ashes is a signature and secret part of working at the Happiest Place on Earth. It is grisly work for them, but a cathartic release for the bereaved, who say treating Disney parks as a final resting place is the ultimate tribute to ardent fans. 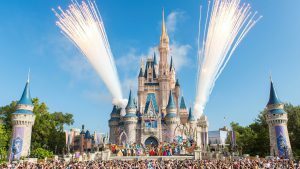 While the desire to enjoy a special place like Disney one last time with a family member is understandable, it’s also strictly prohibited and unlawful. If guests are caught in the act of spreading ashes, they will be escorted off property and refused access to the park. Visitors have become privy to this, so they developed some interesting tactics to sneak their loved ones into the park. Human remains have been smuggled into Disney within prescription pill bottles, makeup compacts, and the occasional Ziploc bag stashed at the bottom of a purse. For extreme situations like this, Custom Signs are used to notify guests that this type of behavior isn’t acceptable. However, given the delicate nature of spreading ashes, it’s unlikely that Disney wants to broadcast this type of thing to all guests.